SLIDE at Sigep: it was great to see you so numerous! 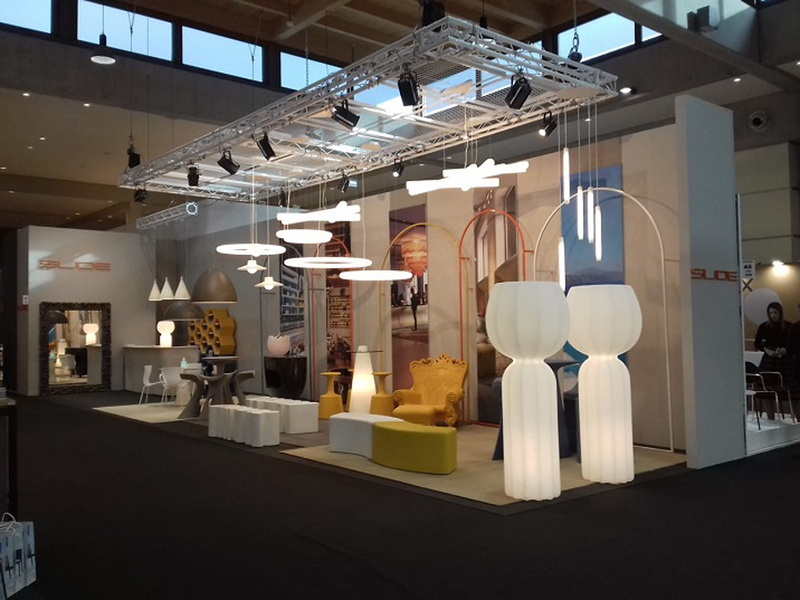 We exhibited at SIGEP International trade show in Rimini fair. Here we have presented with great success our news and our best sellers! 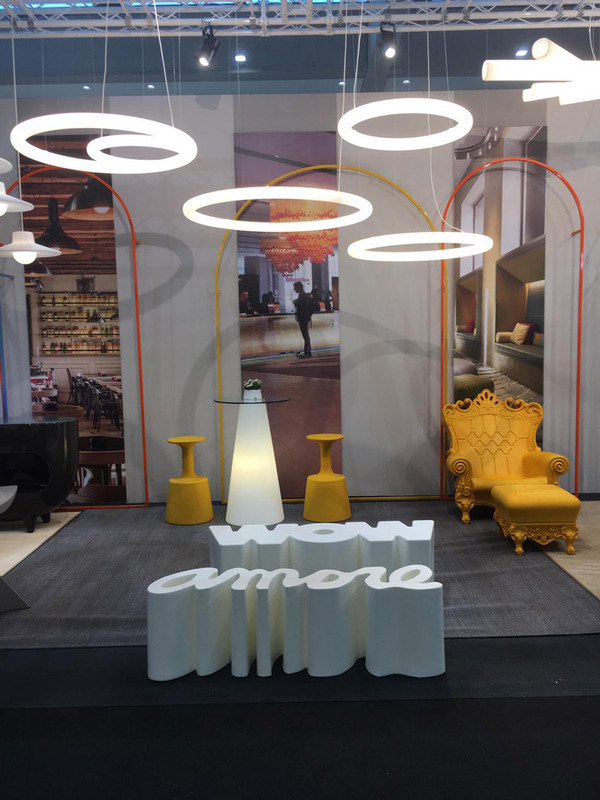 All the furniture designed for the contract world were the protagonists of our stand, such as the armchair and the mirror of the Design of Love collection, with its Baroque style, and Wow and Amore benches, two of our best sellers. We present again also the majestic Cucun floor lamp, designed by Lorenza Bozzoli and its new "mini" version Pupa table lamp. 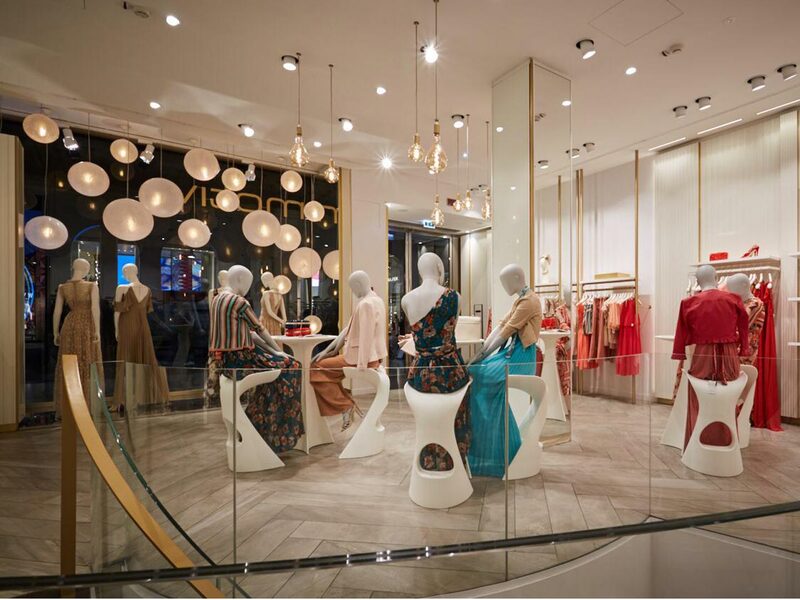 For this occasion we presented also two new products that anticipate the widest collection of 2019. 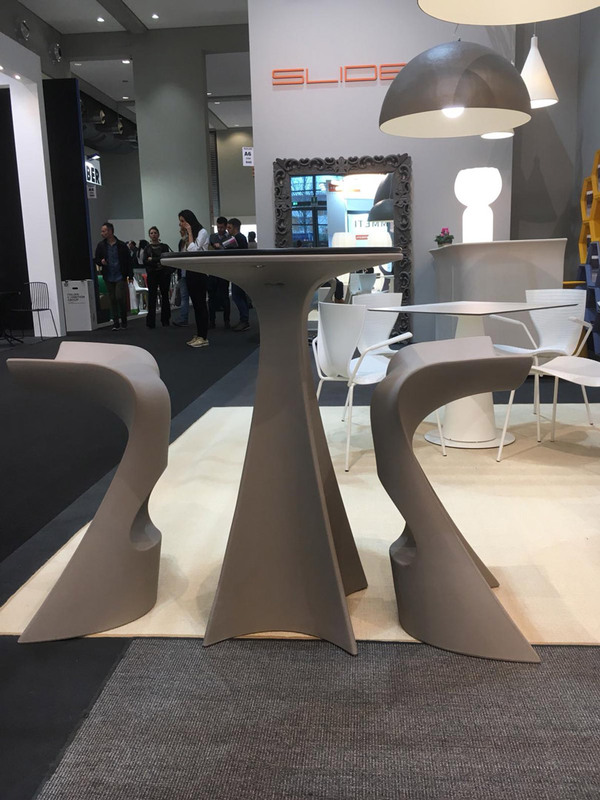 Jet high table, design by Karim Rashid, which matches perfectly with Koncord stools. 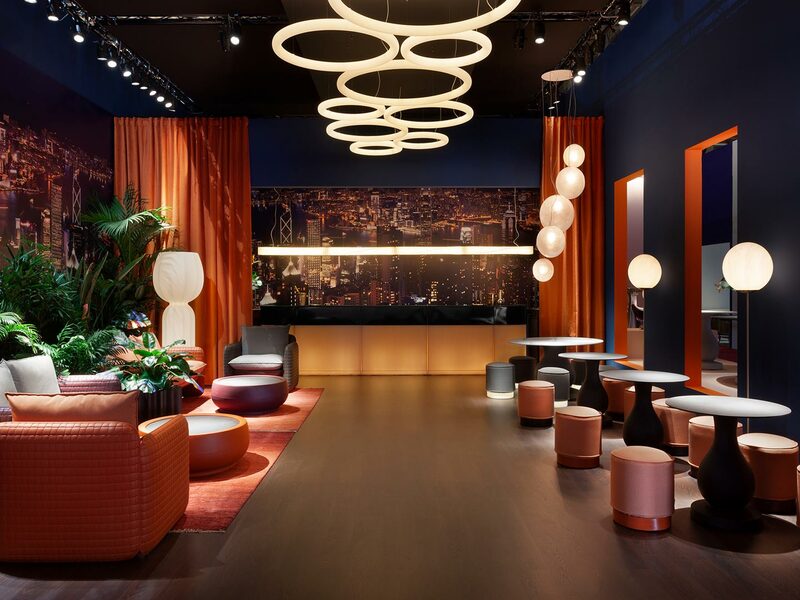 A product with an essential and refined design, with a base of the moving lines, made of polyethylene with the possibility of having this furniture also luminous. 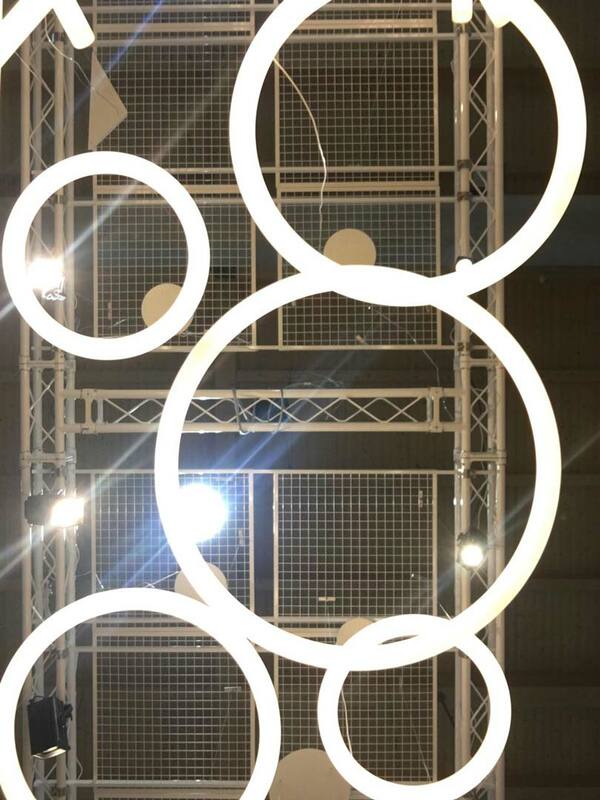 Another great anticipation to the collection of the year are the new ceiling lamps designed by Roberto Paoli: Giotto hanging lamps. 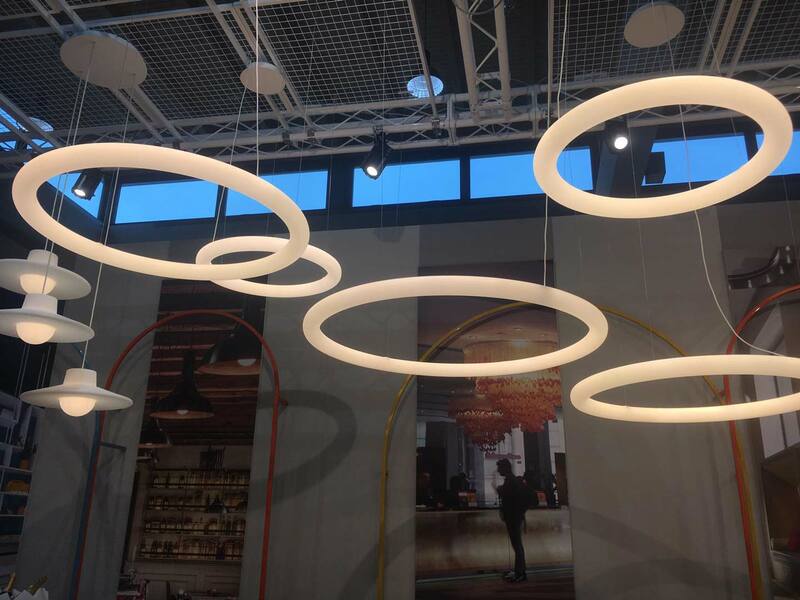 The luminous ring, made in polyethylene, have got different diameters and they are anchored to the ceiling with almost invisible wires that make the visual effect magical. 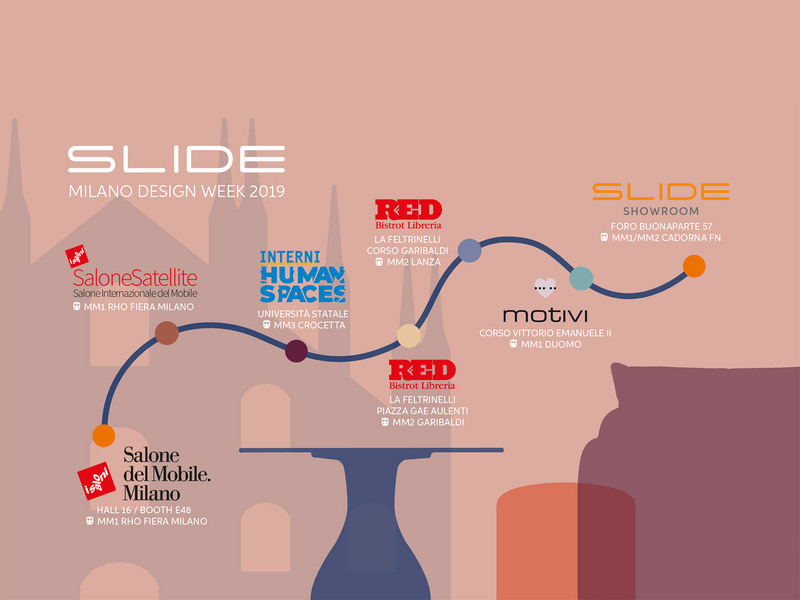 We just have to start preparing for the next exhibition:Salone del Mobile 2019!